Online Registration is opening in June 2019. All deadline dates are in Central European Time (CET). * The list of countries eligible for fee reduction is available here. ** Students must be full time & confirmation of status from the department head must accompany the registration. *** Accompanying person is limited to delegate's family only. For group registration with more than 10 participants please contact the Congress Secretariat at secretariat@icp2020.com. Congress material, delegate bag, etc. Invitation letters for visa purposes can only be sent to participants who have completed the registration process. 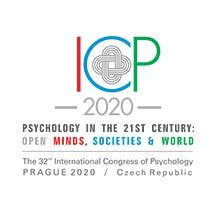 There is only one possible way to register online for the ICP 2020 Congress and that is through the ICP 2020 online registration system on the website www.icp2020.com. While on-site registration will be possible, it is recommended that participants register well in advance and take the advantage of the fee reduction. On-site registration will be handled on a first come, first served basis. Allocation of a delegate bag cannot be guaranteed.